As you know I'm a skincare fanatic. I always teach my makeup students about making sure their skin routine is together first - because your makeup is only as good as the skin underneath. Today I'm going to talk about Toner. I feel like a lot of people don't really know what it's for and why you should use it. I'm showing you one of my favorite toners by Pixi. I got this around Christmas, what a lovely personalized gift. The purpose of toner is to remove any dirt and impurities that you might have missed after cleansing. Apply it with a cotton round and wipe it all over your face. The second purpose of a toner is to balance the PH in your skin. Sometimes our skin might be extra acidic due to skin conditions like acne. 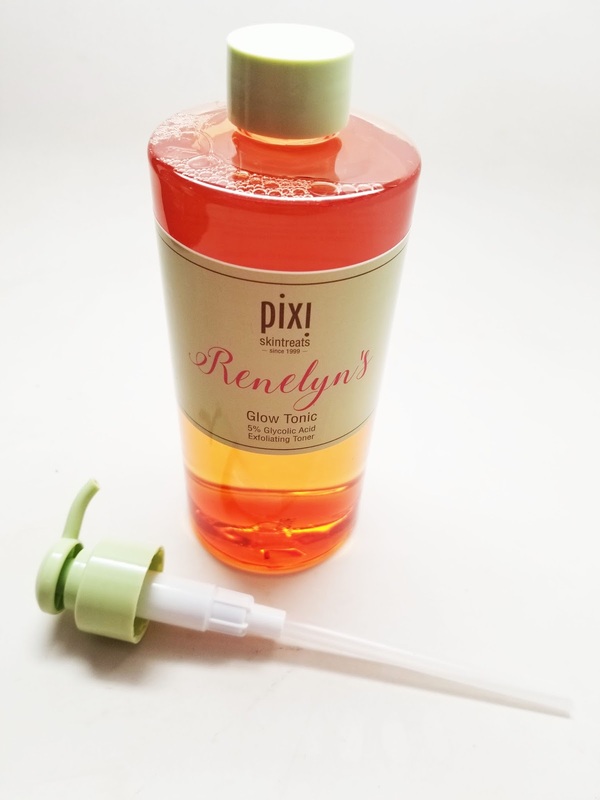 You'll want to get a toner that is alcohol free like the Pixi Glow Tonic. It also contains Glycolic Acid which serves to exfoliate the skin and add hydration. You can use the toner once a day at night if you're particularly dry and both day and night if you're more oily. Don't forget to follow up with a serum and or moisturizer to make sure you bring the moisture back into the skin. You can find this toner at www.PixiBeauty.com or your local Target beauty aisle.